Buy a Skid Steer Loader from the world’s oldest Bobcat dealer, established in 1946. Financing and nationwide shipping available. 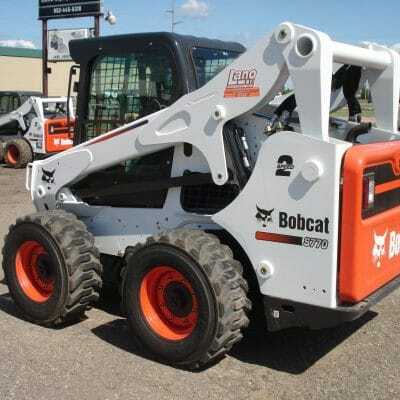 2016 Bobcat T750 Compact Track Loader equipped with A91 package — Enclosed Cab w/ Heat & AC, Cab Accessories Harness, Power Bob-Tach, Sound Reduction, Deluxe Panel w/ Keyless Start, Attachment Control Kit, 2 Speed w/ 3-Point Belt, High Flow, Bucket Positioning, 16″ tracks, radio, air ride, rigid suspension. Available at our Shakopee location.